If no prefix is set in the Subversion scripts, specify the full path to the repository - for instance, svn://localhost/home/user/repository. 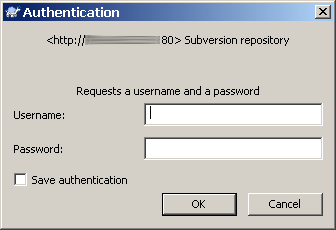 In case this is not possible, add the repository path to the Subversion control script. -d --listen-port=3690 --root "C:\path  o\repository"
In the same file, verify the endpoint URL and path for your Subversion repository. 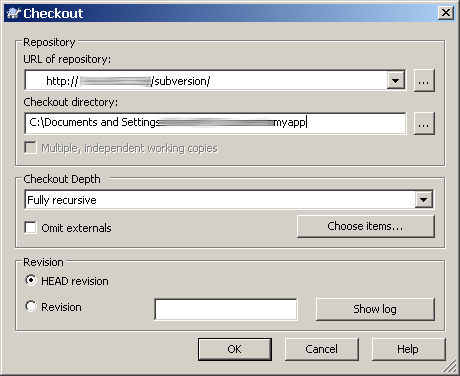 For example, the directives below will let you view the default repository at installdir/repository by browsing to http://localhost/repository. You should now be able to checkout the repository using a tool like TortoiseSVN. 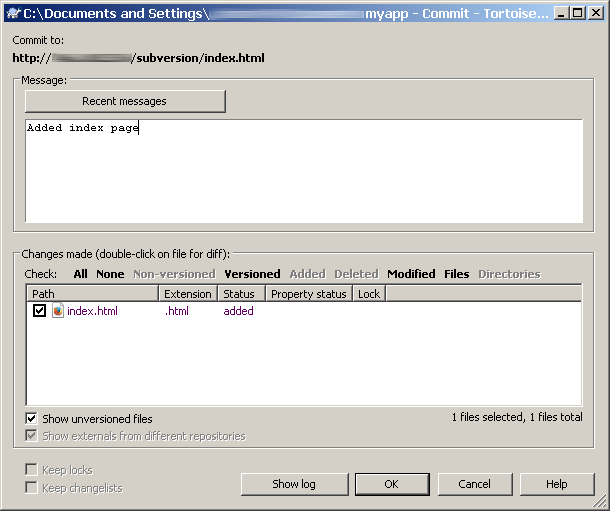 Simply enter the URL as http://localhost/repository as the repository checkout URL in the TortoiseSVN interface, as shown below. Update the Apache configuration file at installdir/apache2/conf/httpd.conf and add the highlighted directives below. With this configuration, repository access is only available to those users listed in the installdir/repository/users file and they will need to authenticate themselves before gaining access. Note that you should update the path to the file based on the actual location of your repository. Create the installdir/repository/users file and add a user account named myuser to it using the following command. You will be prompted to enter a password for the user account. Note that you should update the path to the file based on the actual location of your repository. In case the installdir/python directory does not exist, use the system’s Python binary, usually at /usr/bin/python.